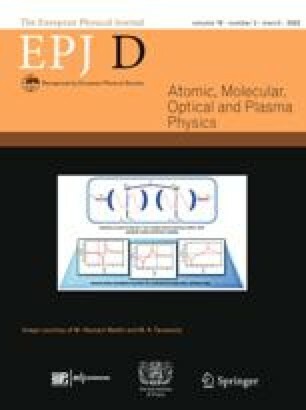 The processes of dissociative excitation (DE) and dissociative ionisation with excitation (DIE) of iron pentacarbonyl, Fe(CO)5, have been studied using a crossed electron-molecule beam experimental apparatus (Electron Induced Fluorescence Apparatus, EIFA). 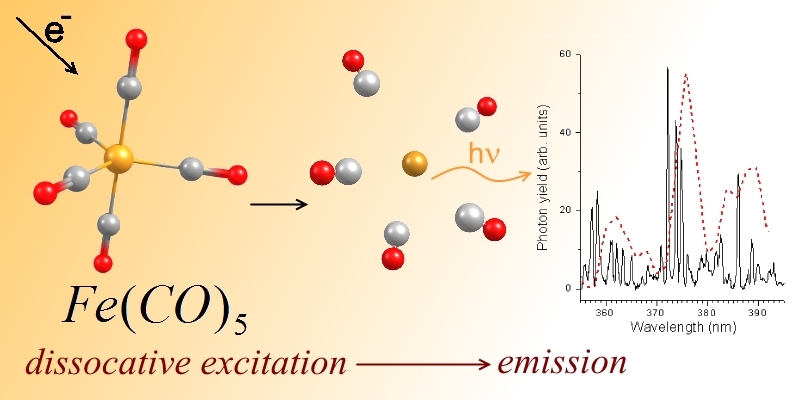 Using EIFA we were able to record the emission spectrum of the molecule in the UV-VIS range, as well as the photon efficiency curves initiated by electron impact. The emission spectrum of Fe(CO)5 initiated by impact of 50 eV electrons was recorded in the spectral range between 200 nm and 470 nm. It shows a high density of emission lines and bands (mainly iron lines and carbonyl bands). Additionally, we have measured photon efficiency curves (PECs) as a function of the electron impact energy for several lines and bands. On the basis of the PECs we have discussed the reaction mechanism and the energetics of the reactions associated with the DE and DIE processes. Contribution to the Topical Issue “Elementary Processes with Atoms and Molecules in Isolated and Aggregated States”, edited by Friedrich Aumayr, Bratislav Marinkovic, Stefan Matejcik, John Tanis and Kurt H. Becker. An erratum to this article can be found at http://dx.doi.org/10.1140/epjd/e2015-60271-8.